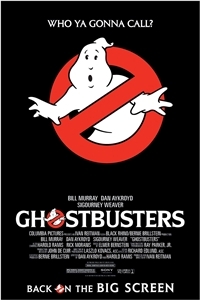 Three odd-ball scientists get kicked out of their cushy positions at a university in New York City where they studied the occult and decide to set up shop in an old firehouse and become Ghostbusters, trapping pesky ghosts and poltergeists for money. Part of the Twelve Days of Tivoli film series at the Tivoli Theatre on December 8th and 10th. Admission $5.